Mogadishu is the capital of Somalia and its largest city. It is also known as Xamar. British Somaliland gained independence from Britain on June 26, 1960 and Italian Somaliland gained independence from Italy just a few days after that on July 1, 1960. The majority of Somalis are Sunni Muslims and a smaller percentage follows the Shia Muslim denomination and Sufism. 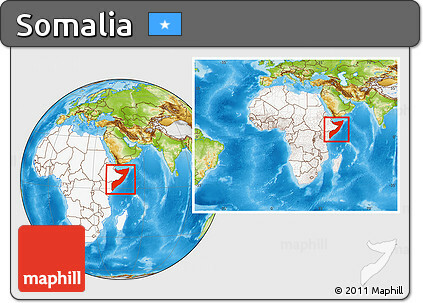 The official languages spoken in Somalia are Somalie and Arabic. The currency of Somalia is Somali Shilling or SOS which has been in use since 1962. Somalia is a semi arid land that experiences a very hot climate as it is located close to the equator. The average temperature round the year is 20 to 40⁰C. Some parts in the north experience temperatures above 45⁰C. This country is the first African nation that was used for flying warplanes by the British. Agricultural products include cattle, goats, sheep, corn, sorghum, coconuts, sugarcane, mangoes, rice, sesame seeds and beans. They export livestock, hides, bananas, fish and charcoal. Capital City: Mogadishu, known locally as Hamar, is the capital and most populous city of Somalia. Located in the coastal Banaadir region on the Indian Ocean, the city has served as an important port for millennia. Religion: The Mosque of Islamic Solidarity in Mogadishu is the largest masjid in the Horn region. Most residents of Somalia are Muslims, the majority belonging to the Sunni branch of Islam and the Shafi’i school of Islamic jurisprudence, although some are adherents of the Shia Muslim denomination.